China’s success in securing 57 founding members for its new regional lending institution, the Asian Infrastructure Investment Bank (AIIB), signals the real limits of U.S. influence in the region in the post-Cold War era. As of the March 31 deadline for initial applications to join the AIIB, among major industrial powers only U.S. ally Japan, so far, has spurned Beijing’s plan. Britain, Germany, France, Italy, Australia and South Korea are among the dozens of countries that have signaled their intention to be founding members of the new bank. China’s coup in economic diplomacy comes as negotiations for the U.S.-backed Trans-Pacific Partnership, or TPP, once again appear stalled, with little prospect for a consensus in coming months. China’s plans call for setting the AIIB’s initial authorized capital at $100 billion, with China providing up to 50% of that amount. Subscribed capital is set at $50 billion. It is still too early to say if China’s new lending institution might supplant the International Monetary Fund (IMF) and World Bank as a major source of financing for infrastructure projects, analysts say. The outcome will depend partly on the ground rules, or “articles of association,” for the AIIB Charter. What is certain is that the AIIB as envisaged so far dovetails with China’s own geopolitical and commercial interests in expanding its economic reach and trade networks in Southeast Asia, South Asia and Central Asia. Japan has so far hedged its bets, refraining from joining, but saying it is awaiting a reply from China to questions it has raised over how the AIIB will be run. A decision to not join in the long run could put a dent in Prime Minister Shinzo Abe’s effort to boost exports of major Japanese infrastructure services, products and technology. Japanese media have cited officials saying that Tokyo is still considering whether to sign on. But Japan lacks the ability to defy the U.S. in setting its own policy on such issues, says Kazuo Yukawa, an expert on contemporary China and professor at Asia University in Tokyo. The AIIB is part of a grand scheme rolled out by President Xi Jinping beginning in 2014 for developing a modern “Silk Road Economic Belt” and 21st century Maritime Silk Road to finance construction of a network of highways, railways and other infrastructure linking China to Central and South Asia, the Middle East and Europe. At the annual APEC (Asia-Pacific Economic Cooperation free trade association) summit in Beijing in November, Chinese President Xi announced that China would contribute the entire $40 billion in its new Silk Road Fund to improve trade and transport links in Asia. While it is clearly in Beijing’s commercial interest, the plan also is presented as a way to bridge shortages of infrastructure financing across the region, ideally, enabling countries that lag behind to close their development gap. Given that strong selling point, experts say U.S. objections to the plan rang hollow and reinforced Chinese convictions that Washington is seeking to “contain” China. “The probable explanation would be that U.S. did not want China to have such a very powerful instrument for foreign policy such as AIIB. Staying out and recommending allies to stay out — Japan, South Korea, Australia and European countries — in China’s eyes, that confirmed that [the U.S.] wants to limit the rise of China,” says Bottelier, who is now a senior professor of China studies at the School of Advanced International Studies at Johns Hopkins University in Baltimore. The consensus in the field of international finance and Asian diplomacy is that the U.S. strategy toward AIIB so far has failed. “I think China has played this quite ably and the U.S. played it about as badly as it possibly could,” says one former senior official of a multinational development bank, who declined to be named. Franklin Allen, a Wharton professor of finance agrees. “America just looks so silly because the U.S. asked other countries not to go in, but now all those countries except Japan are going in. It has been a very successful Chinese move,” Allen says. Allen is also a professor at Imperial College in London and head of its Brevan Howard Centre. China has been seeking for years to gain a bigger role in existing institutions such as the International Monetary Fund, the World Bank and the Asian Development Bank (ADB). China has only a 4.2% stake in the World Bank while the U.S. has a 15.8% stake and Japan has a 6.8% stake. The U.S. and Japan have 15.6% and 15.7% stakes, respectively, in the ADB, while China’s is just 6.5%. In opting to back the AIIB, Britain and other major Western nations were not joining a “gold rush” but were acting on the premise that the American approach was mistaken, Bottelier adds. “Europeans want to do more business with China and they do not have security concerns about China,” says Allen. “I think that they realized that China is not a threat to them at all, so they are better off to join. Another of Xi’s aims is to undermine President Barack Obama’s “pivot to Asia” and the push for the dozen-nation TPP, an Asia-Pacific rim trade zone that so far excludes China. Awkwardly for the U.S., almost all of the countries participating in the TPP talks plan to join the AIIB, which is lacking the “high hurdles” laid out by the U.S. as a condition for joining the pan-Pacific trade bloc. Apart from pushing ahead with its own trade pact, the Free Trade Area of the Asia Pacific, Beijing is tapping its $3.89 trillion in foreign exchange reserves to set up multinational bodies like the AIIB, the BRICS Bank and a bank for the Central Asian-oriented Shanghai Cooperation Organization Bank, while still seeking to increase its influence at the ADB and the World Bank. In July, the BRICS group, which also includes Brazil, Russia, India and South Africa, agreed to set up a bank to be based in Shanghai by 2016. Questioning the need for yet another multilateral lender, Japan and the U.S. have raised concerns over whether the AIIB would have a transparent governance structure and adequate standards for project selection, preparations, procurement, and environmental impact and resettlement. After years of working to reform and improve standards at the World Bank and other lenders, the worry is that AIIB might undercut them for the sake of commercial or political expedience. To assuage such concerns, China offered to forego veto power at the AIIB, in a move that helped win over major European countries, according to a March 23 report by The Asian Wall Street Journal. That would be a change from IMF practice, where the U.S. holds the right to nix big decisions despite holding less than 20% of voting shares, a structure that has long raised complaints. One reason many European countries joined the AIIB from the outset is to have a say in how it is structured and governed. “If they wait until later on, it may be too late to change the structure. Now is the time to join, before it is established, if you want to have influence,” Biswas says. A team in Beijing, led by AIIB Secretary General Jin Liqun, a veteran of the Chinese central bank, China’s sovereign investment fund, the China Investment Corp., the World Bank and ADB, with help from several Chinese and American retired World Bank staffers, is drafting Articles of Association that will have to be approved by the AIIB’s founding members before the Bank can formally open for business, says Bottelier. “All these concerns are expressed without any knowledge of what the final charter of this bank will look like,” he says. “So the criticism is premature. Once we know the charter, it will be time to express our opinions. Environmental and governance issues actually are hindering financing for infrastructure development in developing countries, “so to a certain degree what China is saying is true, that there is a big need to provide infrastructure investment in the developing countries,” the official notes. But U.S. officials worry that China may provide money to some countries with dictatorships or may ignore environmental issues and lend the money, said a China expert who declined to be named. Now, however, it looks like a lot of European countries will be members as well. So the standards will be set according to the agreement of all these countries, says Biswas. “The chances are high that the standards will be set high.” Much will become clear in the next several months as the organization negotiates over voting rights, governance and lending standards. Toshiya Tsugami, a China expert and managing director of Tsugami Workshop Co., a consulting company, says that if China tries to use AIIB in tandem with the Silk Road Fund to pursue Beijing’s “One Belt and One Road” investment strategy, it could lead to conflicts of interest. China has been clear about its other motives: opening up new markets for domestic industries troubled by excessive production capacity; growing the outbound investment of its state enterprises, and diversifying the use of huge foreign currency reserves. China has serious excess capacity problems in heavy equipment manufacturing (including train and locomotive manufacturing) and in construction, Bottelier points out, so the motivation for setting up the AIIB may well be partly related to that. “Wouldn’t you try to do something like that if you had China’s excess capacity problem and nearly $4 trillion in forex reserves that earn almost nothing?” he asks. But he expects that despite the obvious self-interest, contracts for AIIB loans will likely be based on international competitive bidding, as is the case for the ADB and the World Bank. “Otherwise, the 57 other founding shareholder countries would not agree to its articles,” Bottelier says. Still, China is maneuvering from a position of strength, having already set up the $40 billion Silk Road Fund, which is financed and completely controlled by Beijing. Fiscal toughness will create bigger problems for Europe if it leads to Greek exit from unión. There is an element that links the terrible human tragedy in the Mediterranean Sea and the ongoing Greek crisis. It is Europe’s overemphasis on moral hazard. The European Council will hold an extraordinary meeting on Thursday following what appears to be among the most deadly accident in the Mediterranean. Illegal human trafficking has risen in recent years as the political instability in Northern Africa and the Middle East has increased. Unsafe, overcrowded vessels have resulted in thousands of deaths and rising. An estimated 3,500 people died in passage last year though an estimated 219k were successful. Due to Italy’s proximity and the initial destination of choice, it has taken the lead. However, its Mare Nostrum Operation (October 2013) was expensive (estimated cost 9.5 mln euro a month) and was criticized for offering a near taxi service for refugees. An overcrowded boat, often with no captain, would set sail and then call for help. Italy’s navy would help ensure the safety of the refugees. However, many European officials argued that the rescues were encouraging the refugees. So they replaced Mare Nostrum with Operation Triton. Minimize rescue efforts in the Mediterranean to discourage such immigration. Estimates suggest Operation Triton costs a third of Mare Nostrum. Don’t make it so easy to cross the Mediterranean by making it more dangerous. Reduce the number of coast guard ships. That will teach them not to expect European countries to save them from the consequences of their own decisions. In contrast, the U.S. has moved in the opposite direction. It is not that the U.S. immigration policy is not without its flaws and challenges. However, the U.S. has increased its patrol of the U.S.-Mexican borders and has made it much easier for refugees to call for help. Last year the number of Mexicans dying trying to cross into the U.S. fell to 15-year lows (307 in fiscal year 2014 after 445 in FY2013). This week’s Mediterranean tragedy that has taken the lives of 700-950 people is spurring European officials to rethink their policy. Teaching the lessons of moral hazard is recognized as an inadequate response. Not only will the policy be reformed, but the costs have to be shared. Italy and Malta and Greece cannot bear the financial burdens alone. The same general point applies to the official creditors stance toward Greece. Greece is guilty purely by being a debtor. After all, in German and Dutch, the word for guilt and debt is the same (schuld). If an ounce of forbearance is shown to Greece, it is feared, profligate behavior will be encouraged. Trying to teach Greece a lesson is taking precedence over facilitating an economic recovery and rehabilitation. It could wreck the larger [European] monetary union. Understandably, Europe does not want its monetary union to be forged with blood, but it needs to demonstrate its resolve to keep the union together. A Greek exit, intentional or accidental (whatever that really means) would settle the issue for ever more, with serious financial and political repercussions. Moreover, a Greece outside of EMU and the EU would likely create further challenges for Europe, including exacerbating its immigration challenge. Perhaps the largest deficit in Europe is not about money but in its vision. It cannot see yet that moral hazard is not the end all and be all. It cannot be the sole guiding principle without disastrous outcomes. Greater union is part of the solution to both European migration and Greek challenges. There is little to be achieved in either case with stressing the moral hazards. With a 25% contraction in the economy and a threefold increase in unemployment, the Greek ship is sinking. Now is not the time to insist on swimming lessons. 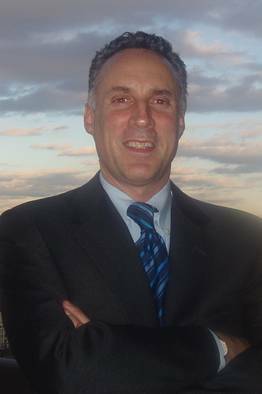 Chandler is global head of markets strategy for Brown Brothers Harriman. If the purpose was to choke the US "tight oil" industry before it becomes an existential threat - and to choke solar power in the process - it risks going badly awry, though perhaps they had no choice. "There was a strong expectation that the US system would crash. It hasn't," said Atul Arya, from IHS. This is just another in a long line of excuses. America’s historic ability to outperform Europe is well documented; we call it American exceptionalism. It has always been based on the fact that the U.S has had better, more market-driven economic policies and our economy therefore worked better. But, as the U.S. economy is Europeanized through higher taxes and greater regulatory burdens, American exceptionalism is fading away, taking economic growth with it. How bad is the Obama recovery? Compared with the average postwar recovery, the economy in the past six years has created 12.1 million fewer jobs and $6,175 less income on average for every man, woman and child in the country. Had this recovery been as strong as previous postwar recoveries, some 1.6 million more Americans would have been lifted out of poverty and middle-income families would have a stunning $11,629 more annual income. At the present rate of growth in per capita GDP, it will take another 31 years for this recovery to match the per capita income growth already achieved at this point in previous postwar recoveries. When the recession ended, the Federal Reserve projected future real GDP growth would average between 3.8% and 5% in 2011-14. Based on America’s past economic resilience, these projections were well within the norm for a postwar recovery. Even though the economy never came close to those projections in 2011-13, the Fed continued to predict a strong recovery, projecting a 2014 growth rate in excess of 4%. Yet the economy underperformed for the sixth year in a row, growing at only 2.4%. Implicit in these projections and in the headlines of most economic news stories—which to this day blame cold winters, wet springs, strikes, hiccups and blips for America’s failed recovery—is the belief that there has been no fundamental change in the U.S. economy. Underlying this belief is the assumption that either the economic policies of the Obama administration are not fundamentally different from the policies America has followed in the postwar period or that economic policy doesn’t really matter. And yet we know that the Obama program represents the most dramatic change in U.S. economic policy in over three-quarters of a century. We also know from the experience of our individual states and the historic performance of other nations that policy choices have profound effects on economic outcomes. The literature on economic development shows that U.S. states and nations tend to prosper when tax rates are low, regulatory burden is restrained by the rule of law, government debt is limited, labor markets are flexible and capital markets are dominated by private decision making. While many other factors are important, economists generally agree on these fundamental conditions. As measured by virtually every economic policy known historically to promote growth, the structure of the U.S. economy is less conducive to growth today than it was when Mr. Obama became president in 2009. Marginal tax rates on ordinary income are up 24%, a burden that falls directly on small businesses. Tax rates on capital gains and dividends are up 59%, and the estate-tax rate is up 14%. While tax reform has languished in the U.S., other nations have cut corporate tax rates. The U.S. now has the highest corporate rate in the world and the most punitive treatment of foreign earnings. Large banks, under aggressive interpretation of the 2010 Dodd-Frank financial law, are regulated as if they were public utilities. Federal bureaucrats are embedded in their executive offices like political officers in the old Soviet Union. Across the financial sector the rule of law is in tatters as tens of billions of dollars are extorted from large banks in legal settlements; insurance companies and money managers are subject to regulations set by international bodies; and the Consumer Financial Protection Bureau, formed in 2011, faces few checks, balances or restraints. During Mr. Obama’s presidency, the number of Americans receiving food stamps has risen by two-thirds and the number of people drawing disability insurance is up more than 20%. Not surprisingly, labor-force participation has plummeted. Crony capitalism and artificially low interest rates have distorted the capital markets, misallocating capital, overpricing assets and underpricing debt. Despite the largest fiscal stimulus program in history and the most expansive monetary policy in more than 150 years, the U.S. economy is underperforming today because we have bad economic policies. America succeeded in the Reagan and post-Reagan era because of good economic policies. Economic policies have consequences. With better economic policies America was like the fabled farmer with the goose that laid golden eggs. He kept the pond clean and full, he erected a nice coop, threw out corn for the goose and every day the goose laid a golden egg. Mr. Obama has drained the pond, burned down the coop and let the dogs loose to chase the goose around the barnyard. 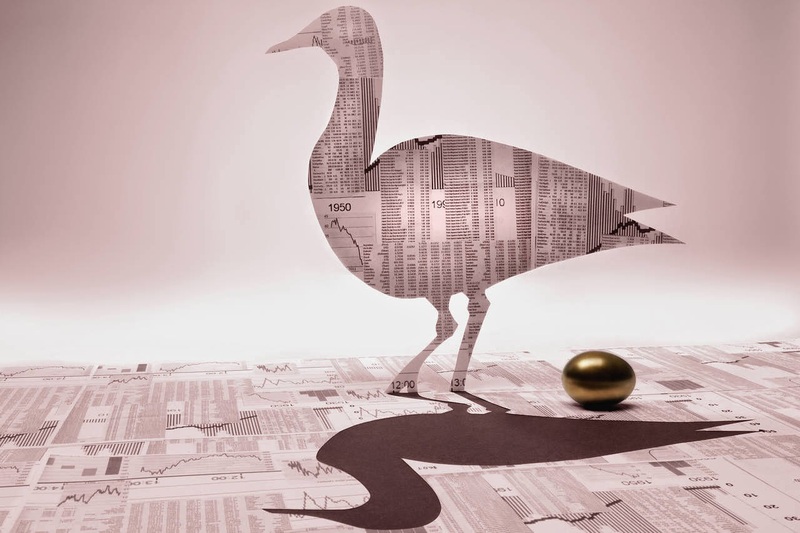 Now that the goose has stopped laying golden eggs, the administration’s apologists—arguing that we are now in “secular stagnation”—add insult to injury by suggesting that something is wrong with the goose. Mr. Gramm, a former Republican senator from Texas, is a visiting scholar at the American Enterprise Institute. The European Commission should act swiftly to condemn the new law. Maina Kiai, the special rapporteur at the United Nations on the rights to freedom of peaceful assembly, has urged Spanish lawmakers to reject the measure, arguing: “The rights to peaceful protest and to collectively express an opinion are fundamental to the existence of a free and democratic society.” Spain’s new gag law disturbingly harkens back to the dark days of the Franco regime. It has no place in a democratic nation, where Spaniards, as citizens of the European Union, have more than a virtual right to peaceful, collective protest.